Due to the lack of qualifying credentials funds and credibility with The Canadian Broadcasting Czar, a few up and coming stars on the US Olympic team didn't get any TV coverage. Because she's a patriot and a stage mother sports enthusiast, Grandma J wants to share with you a few photos of one of the athletes in action. It's our own Phillip Johnny Bob......who took it upon himself to carry the torch across the international border. 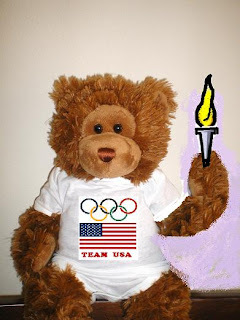 For the record, this wasn't the official torch....but let's not get all caught up in details. 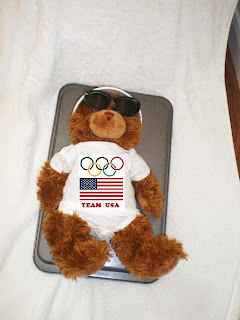 Like most Olympians, PJB was all geared up for his big event, the taco eating contest, highly dangerous luge. With the form of a true athlete, and the muscle tone of a fried twinky the fittest of the fittest, Phil barreled down the mountain in no time flat. 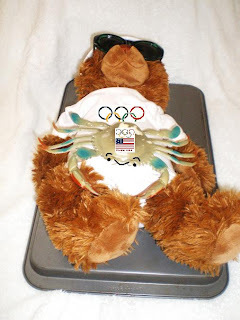 Unfortunately, Phillip Johnny Bob and his teammate Crusty were disqualified during the doubles. Crusty didn't think he had to wear any protective safety gear....due to the fact that he WAS MADE out of ironclad protective gear. After all was said and done, is anyone surprised that PJB walked away with an Olympic Gold Metal despite all his challenges? I didn't think so! Brilliant .. I laughed and coughed (damn tickle better be gone before July) my through that post .. Very cute post. Glad your in the spirit of things, and a bit more entertaining too. You are soooo very funny! OMG! Always a winner in my book. What a team! So, the summer games...syncronized swimming? If a human being can POSSIBLY look at the second and third photos and not bust a gut, there is something seriously wrong. You are too cool for school, Grandma J. And extremely creative! I see that PJB grew some teeth there in the last photo just so he could smile for the camera, which makes me die laughing even more. Were you snowed in today with too much time on your hands? Does he play hockey too? Are you kidding me?! Crusty didn't win anything??? I just LOVE your creativity! And of course I love Phillip Johnny Bob : ) I am not surprised at all that he got a gold medal! Ok, yes, I see that's a tongue, but I still think it looks like rodent teeth. Oh, and I still think it's hilarious. PJB and Crusty are fearless! This is almost as exciting as the U.S. defeating the Canadians in Hockey (don't tell my hubby I said that). 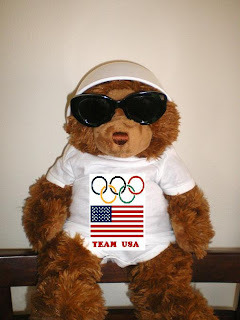 I've had so much fun these last two weeks watching the Olympics. I'm sad they're nearly over. That's really cute. :-) Thanks for putting a smile on my face this morning. 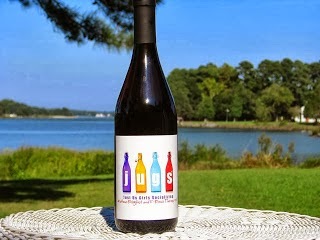 Congrats on Post of the week. That was marvelously silly and cheerful. 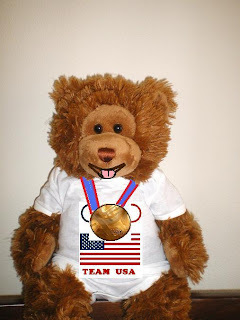 I adored it :-) Thank you so much for taking the time to give the Teddy Olympics some coverage! Bakeware as sports gear? Wheeeee! Giggles here...most deserving of Daryl's Post of the Week nomination!